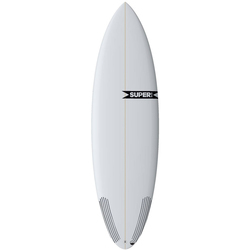 Finding the perfect size and shape board can make all the difference in the world to your surfing experience. For every style of rider out there, so too is there a matching board for them. So take a look through US Outdoor’s selection of unbeatably low priced short and long board to find that perfect board for you! Featuring renowned brands such as Boardworks, Dakine, Global Surf, Lib Technologies, Lost Surfboards, Murdey Surfboards, Rusty, and Santa Cruz. You won’t regret finding the right board for you next time you are out catching that next perfect wave, and having yet another perfect moment!